Home Sport Is it time for Lancaster to get an athletics track? Is it time for Lancaster to get an athletics track? In an age of academic pressures and an increased interest in sport, Joe asks if Lancaster's lack of athletic track is holding us back. Participating in a sporting activity has great importance in university life. Of course, there are the more favoured sports – such as football and rugby. The sporting facilities that are on offer for those sports encourage a strong cohort to participate in these sporting areas. Since Lancaster has experienced success in these sports, it seems only right that the same enthusiasm and funding is replicated across the whole spectrum of sports that Lancaster has to offer. This can be related to the Athletics society. This is a great society to be part of and is progressing well with new talent each year choosing to study at Lancaster. Therefore, it seems logical that more facilities should be invested into this area. The main proposal is a new Athletics Track. At the moment, the closest track is at Salt Ayre, which takes 30 minutes or so to get to. 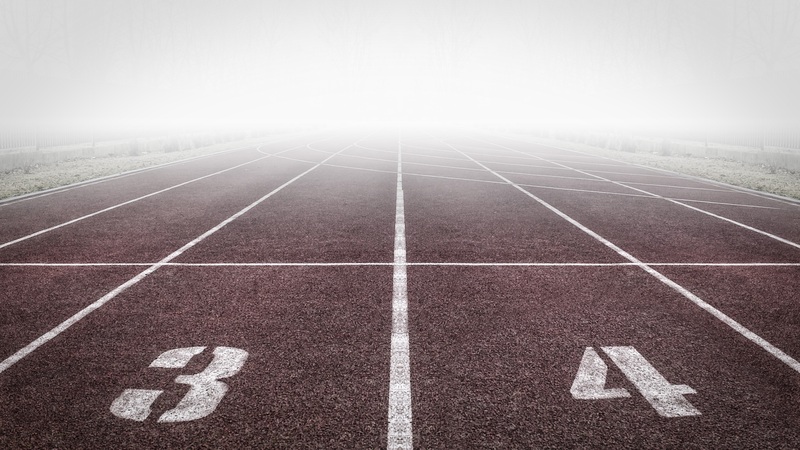 By having a track on campus, it would inevitably lead to more students taking up the sport, thus giving more incentive to invest more in this area. One consequence of not having a track readily available means that students must be more reliant on the bus services, and cumulatively it is very time consuming, which can be detrimental to students’ workloads. Furthermore, as the nights draw in and the winter season comes into full swing, it can be hard to stay motivated. With the additional constraint of having to make the trip from campus to the outskirts of Lancaster, virtually into the vicinity of Morecambe, much sympathy can be expressed for those that don’t feel that it is worth it. To reiterate the fact that Lancaster is a top ten university (as well as University of the year according to the Times and Sunday Times), it should be a priority that facilities such as an athletics track are in place, and would generate more interest from athletes up and down the UK, and even international students looking to develop their athletic ability. Universities such as Cambridge, Oxford, Birmingham and Loughborough have a rich history of success in the athletics arena, and a significant contributory factor for this is that there has been a considerable amount of investment put in place to allow athletes to prosper and nurture the athletic ability of the wide range of talent that the institution has attracted. This is illustrated further by the BUCS league tables, which puts the aforementioned universities consistently at the top of the pecking order. Granted, it will take some time for Lancaster to reach the sporting accomplishments that are already inherited in the likes of Loughborough and the like, but we are definitely moving in the right direction. With facilities such as an athletics track, it won’t be long before sporting success at Lancaster parallels the academic achievements that have propelled the university into such high regard, and has allowed Lancaster to maintain their status as a top 10 university. Hopefully, plans are soon to be in place to make it possible that new facilities are established amongst campus grounds, the sooner the better.